Today, little sister decided she wanted to follow big sister's footsteps. Veronica had talked about it but I wasn't sure if she meant it. I gave her all kinds of opportunities to back out -- just in case. I told her it hurt. I told her she'd cry. I told her she could wait until next time. I didn't push her either way. She decided that today was the day. I know she wasn't quite ready. 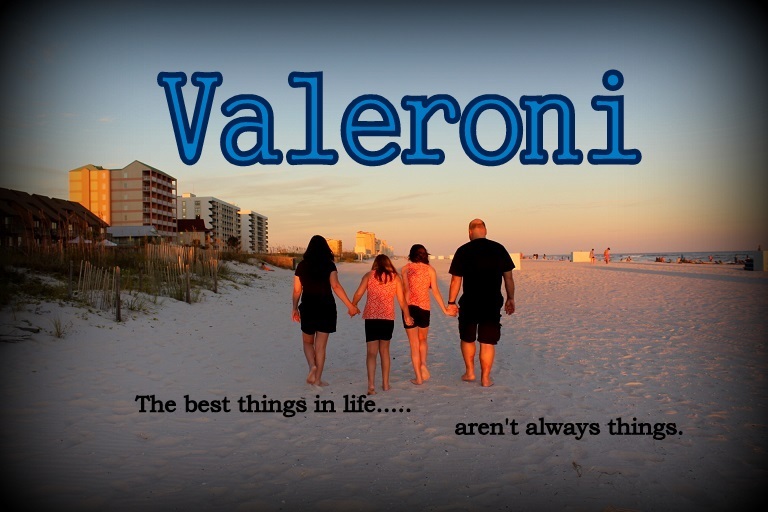 She just wanted to be just like Valerie. UH OH. Not. sure. about. this. at. all. And Veronica wailed for about 45 minutes afterward. She screamed in the store, in the parking lot, and the whole way home.... That's about what I expected from my super sensitive girl. Roni didn't even want to look in the mirror to see her new sparkly ears. I felt so bad for her. The subject has come up often in recent months. "So-and-so has her ears pierced." "I think I want to get my ears pierced when I'm 10." "Well, maybe when I'm 9 instead so I don't have to wait that long." "If the Easter Bunny brings me some earrings I'll get my ears pierced." Well, the Easter Bunny was not prepared for such a request, so (s)he improvised with a coupon for a 'free' ear piercing at Clarie's. I didn't know for sure if Valerie would go through with it. I told her we'd go on Tuesday right after school. She got off the bus, ran inside, changed, and was ready to head to the mall. Still.... I didn't know if she'd actually do it! I told her it would hurt a bit at first, but after a while you would forget they were even there. We went straight to Clarie's and picked out earrings. She picked out some pretty aquamarine studs. And she was nervous. Really nervous. I do think my poor Val has my anxiety. I held both her hands. The cleaned her ears, marked the dots. A worker stood on each side armed with a piercing gun and said, "On three, ok?" ONE -- CLICK... and I think they said two, three. And her 8 year old eyes filled with tears. And said it really, really hurt. For days all we heard was how she had to keep looking in the mirror to admire her earrings. She told everybody that we saw. My Val Gal is growing up. Now the 6 week wait to change them is pure torture for a little girl who is anxious to have her own earring collection!! STRESS is more like it. This family has had enough of it. The past few weeks have been a complete roller coaster. My whole daily routine has shifted it's focus. This is something out of a movie.... or something. Trying to look on the bright side... it could have been worse. Some of the other people involved were much worse off. And I have made a few new friends who share a common interest in the process. And I know I have some good old friends who will always have my back. It didn't break us. And besides.... revenge can be fun. Nobody gets the best of me.